How to prevent Multiple Sclerosis? A new study from Sweden shows that smoking and passive smoking are risk factors for MS. The good news: These risk factors are preventable! 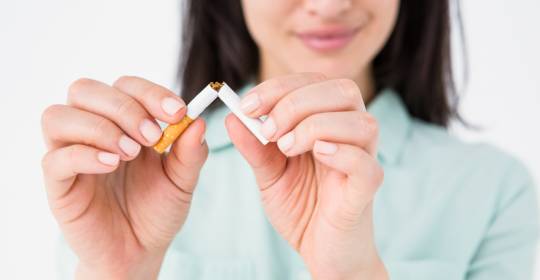 Previous studies could show that active smoking is a risk factor for MS. Moreover, patients with MS have a worse prognosis compared to non-smoking patients. Furthermore MS drugs are not as effective if patients are smoking. The recently released study was the first study focusing on smoking and passive smoking. The researchers at the Karolinska University in Sweden included 2455 MS patients and 5336 healthy (control) individuals. The effect was “dose-dependent”, meaning: the higher the dose of exposure to smoke – the higher the risk to develop Multiple sclerosis. The researchers showed that 20.4% of MS patients were linked to smoke exposure (at the population level). Up to 41% of MS patients were linked to smoke exposure if the individuals were carrying a genetic risk factor for Multiple sclerosis. In simple terms: Stop Smoking! Vitamin D plays a part in regulating the immune system in the human body. As Multiple Sclerosis is an immune disease, Vit D could have a protective/modulating effect that influences the disease positively. read more New Australian study showed again the link between too less sunlight / Vit D Deficiency and Multiple Sclerosis.